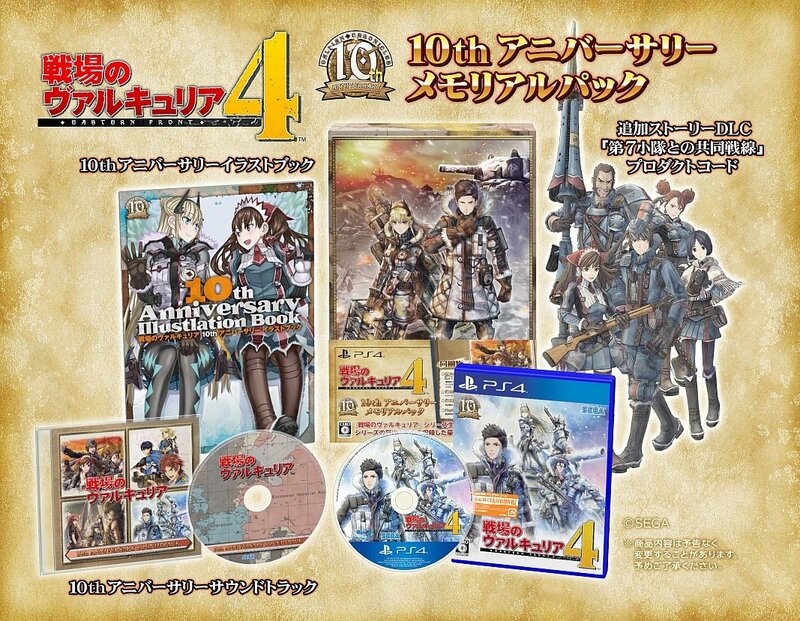 Details have emerged about the Japanese Special Edition for Sega's dramatic war sequel Valkyria Chronicles 4. The "10th Anniversary Memorial Box" comes with a 72-page book, featuring art from all titles in the series. Also included is a soundtrack CD, which contains 25 cuts from Valkyria Chronicles' emotional score. Rounding off the package is some exclusive DLC. "Joint Operation with Squad 7" will see previous VC heroes Alicia Melchiott, Welken Gunther and co. return for one more charge up the battlefield. The 10th Anniversary set will retail in Japan for around ¥13,000 -- roughly $120 -- but there is unfortunately no news as to whether the set will be localised for the game's release in North America and Europe. Valkyria Chronicles 4 launches in Japan March 21 on PS4, and on the Switch in Summer. It will follow in the West on PS4, Xbox One and Switch sometime later in 2018.